Keeping duck as pet at home would be gives us many benefit. Even you need some efforts to raise them, actually it would be paid someday when they growth well. There are so many reasons why people pet something. May they want to have something that entertain them, earn something like cattle or eggs, or just to earn some money when they can sell it someday. Well as long as you don’t hurt whatever animal that you pet at home, whatever the reason is right reason. Basically we can’t play with somebody’s principals. Many people who have their business that started by pet animal in their home. Some reptile farmers like iguana and chameleon has their own story how they can be the farmer even in the past they don’t have that plane. So how is the duck farmer? Without any put the duck as animal poultry with the else like chicken, some farmers do has this experience. Let’s call it as ‘profitable accident’ which really as the name, profitable. But still being a farmer or just pet the duck as animal pet depend on your choice. Someone that knows how to move is yourself. Don’t push yourself if you feel you won’t be able to done it. If you choose to put the duck as animal pet at home and feels so enough with that, we have some tips for you to pet them at home. Some people may pet the duck since they are still baby. As we know, there is difference when we feed baby duck and adult duck. 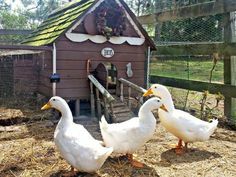 Different with cattle duck or poultry duck, when you pet duck as pet in your home there is special food which formulated to the duck which pet as privately which means that not raised as poultry. The kind of food that needed by baby duck should be the food which high of calorie and protein. Duck food can you buy in pet shop with branded like Purina, Mazuri, or Gunter. Even chicken food can ate by duck, they can’t eat it as their main food because the formula is different and as nutrition contained it also different and can’t fulfill what’s need by duck. After the duck is 20 weeks old you can change their food to chicken food as long as the nutrition contained is same. You better feed them with the food that has 14% protein until the baby duck is 3 weeks old. Both male and female duck needs same protein. And feed them with protein 16-17% when they pet for egg. Sometimes you need give them some meals like corn, carrot, and green vegetable like cucumber or broccoli. The meals portion can’t be more than 15-20% of main food. Don’t seasoning or cook those ingredients and you better give it raw. You can also let them to look their own food as long as the area isn’t affected by pesticide or another poison material. Some ingredients like bread, chocolate, onion, popcorn, avocado, and citron fruits can’t feed toward the duck. After talk about the ingredients, now let’s move to the time you feed them. You better prepare the food everyday so the food are also available every day, but throw the food in the night to avoid putrefaction, ants, or mice. Usually, the duck consume around 150-200 grams food every day but the older duck may consume more than it. For older duck, buy food in much ways it’s of course make you easier to feed them. But for baby duck which can’t eat something like that it would be loss, right? So you better try to buy something like small food so not only the older duck which has prepared food, but also the baby. The best drink water that recommended for duck is clean water which has 50-70 F temperature. You can place it in plastic container but don’t too deep. Pick the place which makes the beak of the duck is enough so they don’t need to drown just to drink. Make sure that the drink water is clean because one of all medias that used by bacteria and virus to be grow and spread is water so change the drink water every day is enough to avoid some disease. Keep the optimally temperature for duck moreover older duck. The duck which already 35 days old and eggs duck should be inside in the cage with 13 C. If the duck is make a group it is possibly they are cold and otherwise if they are spread out randomly and hard to breathe it means that they are hot. If the summer is coming, try to prepare cold water pond to reduce the hot. You better treat your duck in the place that you can control the temperature as easy as you want. Prepare the width cage so the duck can walk over the cage, moreover if you pet baby duck which is still move active. The width cage would increase as long as their growth. The older the duck, it become bigger and need free space to move so to safe the budget, you can make the big cage in the beginning when you decide to pet the duck. If the cage has wire floor, for the duck which is under the 3 weeks old make sure that the fool is made of wire casa. The floor need to be designed to keep the wire is stay flat and reduce poop buildup. Make sure that the cage is strong enough to avoid the duck run out. The cage must be able to keep the duck from any predators like raccoon or jungle cat and snake moreover if the cage is placed outside the home. You can also use the floor which made of something that not of wire. As long as you can make sure that it wouldn’t hurt the duck legs, you can go ahead with that. Duck is an animal which random with any liquid dirt. That’s why you need to clean the cage using un-poison disinfectant at least 3 times per week. The cage should have well circulation to help you reduce the smell inside the cage. If the duck placed inside house, make sure that they get fresh air. In some season like raining, the sunlight isn’t come so that’s why we need additional light that we can get from lamp. At least the duck should have light 14-17 hours per day. You need to talk to your duck. Even they seem like don’t have an ear, they does can hear your sound and respond it. Try to talk to them so you both close each other. Also, interact with duck can make them getting used to you so they wouldn’t attacked you. The reason why the duck tries to attack you is because they don’t know you yet or not getting used with you. So make them getting used with you would decrease their worried.